WWE Money in the Bank 2015 is out on DVD and Blu-Ray on Monday (24th August 2015) in the UK. You can pre-order here at WWEDVD.co.uk and all other reputable DVD stockists. Broadcast live on PPV (and on the WWE Network) from the Nationwide Arena in Columbus, Ohio, USA on 14th June 2015. The show features Seth Rollins defending the WWE World Heavyweight Championship in a Ladder match against Dean Ambrose as the main event. There's also five other matches featuring the likes of Kevin Owens, Neville, Kane, Randy Orton and Paige in action with a Money in the Bank Ladder match also on the card. The Intercontinental, WWE Tag Team and Diva's Championships are also up for grabs. The disc includes over ten minutes of special features, including one further match. Michael Cole, Jerry Lawler and John "Bradshaw" Layfield provide the commentary. Similar to WWE's last DVD event offering, Elimination Chamber, the show is slow to get going thanks to starting with a multi-man match, which means many entrances to kick things off. Luckily once the Money in the Bank Contract Ladder Match does get going it's a fun bout, that see's Dolph Ziggler, Kane, Kofi Kingston, Neville, Sheamus, Randy Orton and Roman Reigns vying for the, now familiar, briefcase. With some nice storyline elements thrown into the mix, building towards the bouts conclusion, this is an entertaining start to the show. Paige challenging Nikki Bella for the Diva's Championship is a decent encounter for the most part, with a surprisingly good false finish, but it is hurt by a nonsensical closing sequence, that leaves even the commentary team confused. The Big Show and Ryback's Intercontinental Championship collision is a waste of time on an event like this, with The Miz on guest commentary being heavily involved in the contest. Kevin Owens and John Cena manage to top their previous Champion vs. Champion outing, creating a match that is everything the previous one was and more. Whilst there is, admittedly, a few clunky moments here and there, the storytelling is of a very high standard and shows off a new side to John Cena. The aftermath of the epic encounter is just as interesting as the bout itself, setting the stage for a third match to round off the trilogy at a latter date. There's an entertaining heel promo from The New Day's Xavier Woods and Big E, before their WWE Tag Team Championship encounter with The Prime Time Players, that works the Ohio crowd nicely. The match that follows is nothing special, but completely watchable. The main event is perhaps not what you'd expect when looking at the card and seeing Dean Ambrose and Seth Rollins' Ladder Match over the WWE World Heavyweight Championship in that slot. 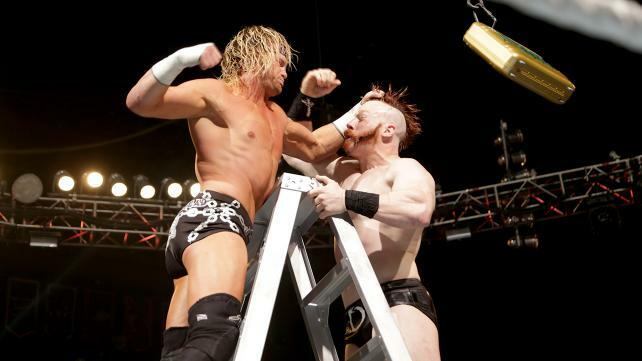 The bout shies away from the spot based antics of the earlier ladder match, although there are plenty of treats here also, to present a clash with a strong narrative thread, with both men playing their respective roles very well. The pair take the action all over the arena and manage to pull these brawling elements back into the narrative rather well, keeping a good mixture of styles throughout the bout. The main criticism has to be that the match is a little too long (it's just over 35 minutes long bell-to-bell) for what it is, it could easily stand to lose five or six minutes and not be effected at all. Following the bout, the winner's interview with Jo-Jo on the entrance ramp is curious touch for a modern WWE PPV, although it does work rather well in this case. This is the strongest WWE DVD event offering since WrestleMania 31, with both Kevin Owens vs. John Cena and Dean Ambrose vs. Seth Rollins improving on their outings at Elimination Chamber. The whole undercard is also a marked improvement, and if you remove the Intercontinental Championship match you've got a card that works from top to bottom. If you were to ask me which post-Mania show was worth splashing your cash on, to bridge the gap to SummerSlam, then Money in the Bank would be that show. You can pre-order here.